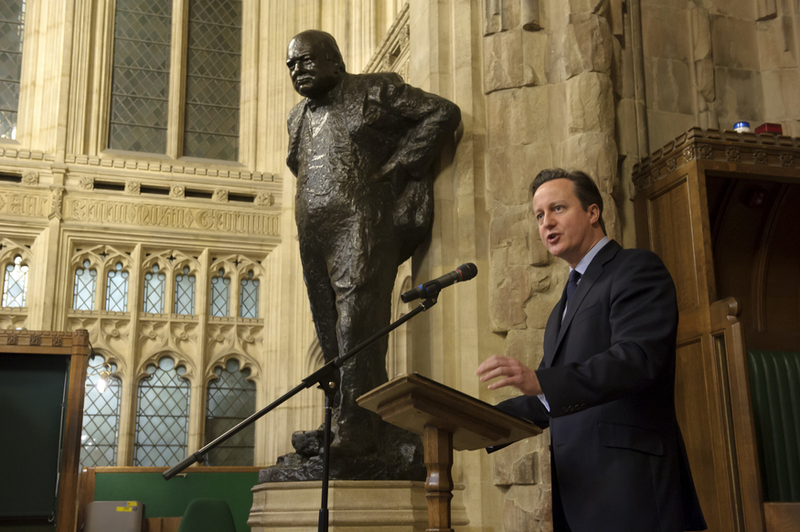 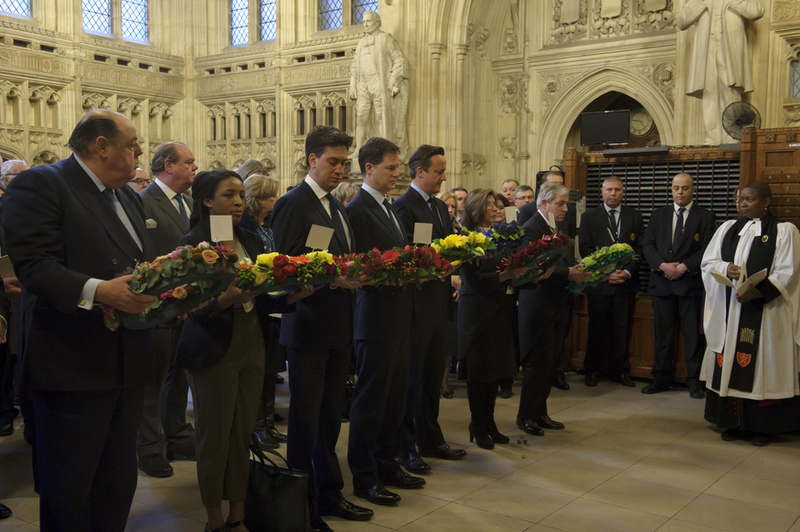 Today marks the 50th anniversary of Winston Churchill's funeral. 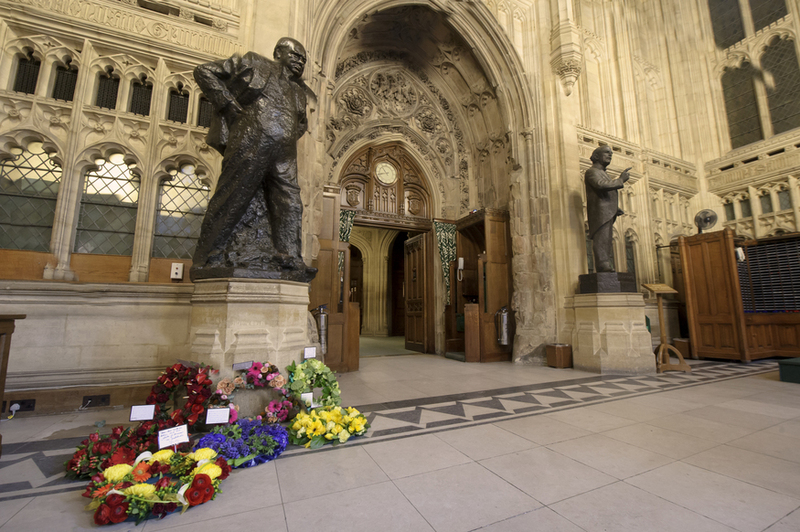 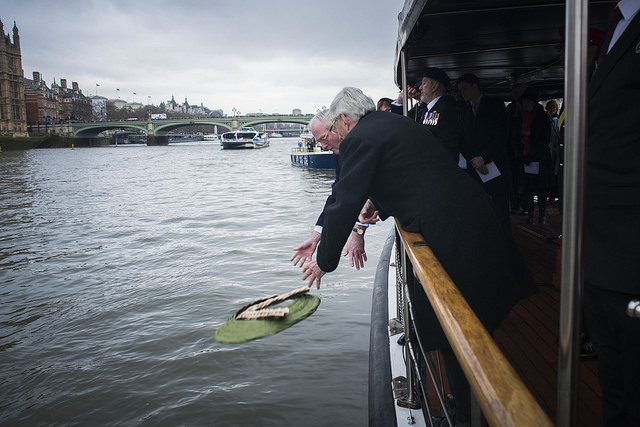 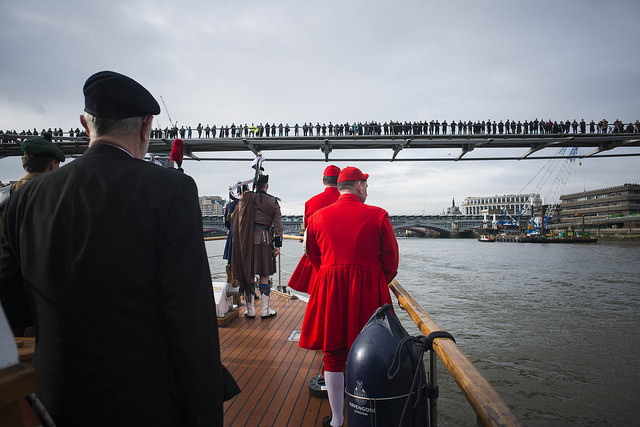 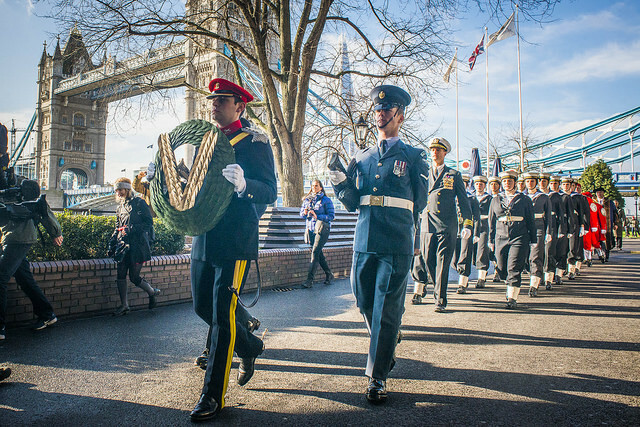 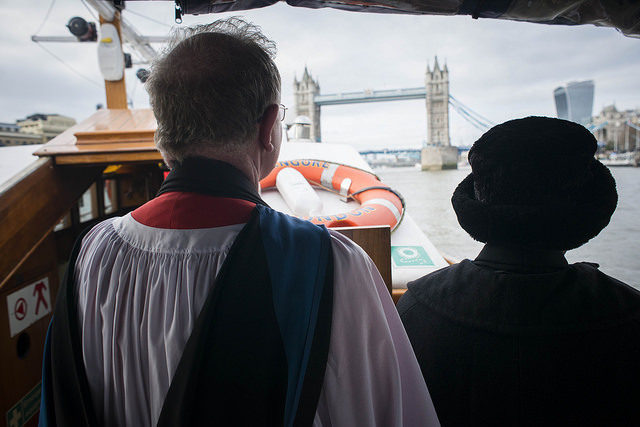 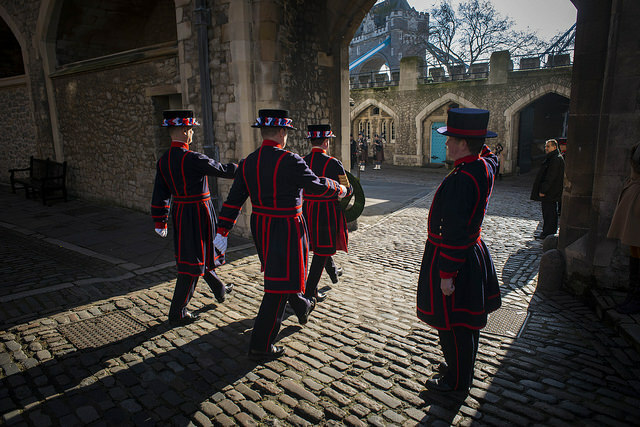 The occasion is being commemorated — and in part, recreated — with a wreath laying ceremony at Parliament, a boat procession along the Thames and a service at Westminster Abbey. 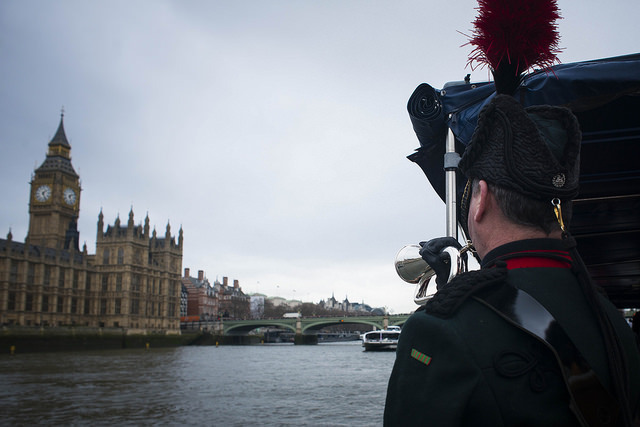 Here's a gallery of events that have been happening throughout the day. 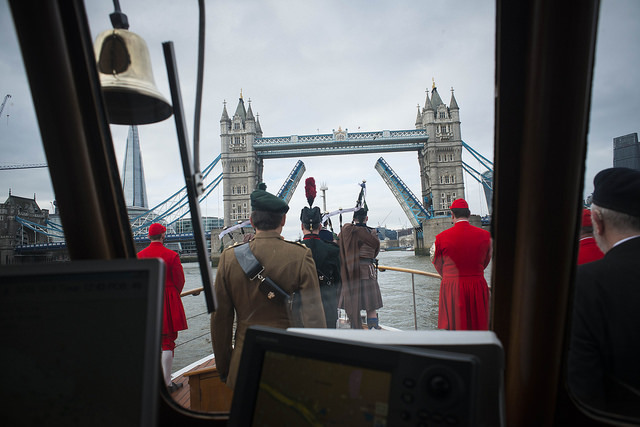 Many of these photos are taken from aboard the Havengore — the same vessel that carried Churchill's coffin in 1965.